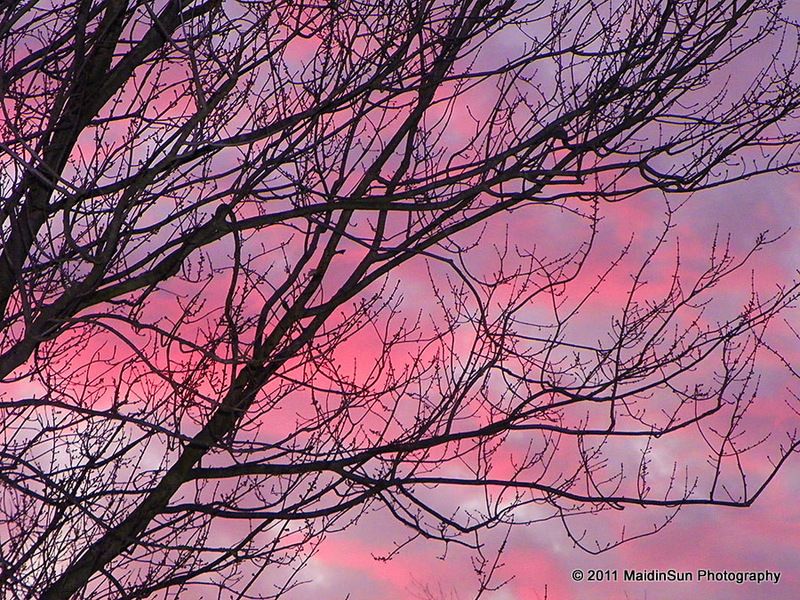 At sunrise this morning I watched a red squirrel climbing up one of our maple trees in the front yard. We don’t often see squirrels except for the occasional glimpse of one back in the woods. The rest of the property — near the pond and in the meadows — is too open for them, and the hawks would likely find they make a tasty meal. This morning’s visitor lives across the road near the old farmhouse. I watched as she scampered up the tree, easily and quickly making her way from ground to top, following the sun from horizon to sky. I hope she made it home safely, back to the trees across the road where the sun makes its first appearance during winter mornings here in the Bogs.